One of my favourite quotes by Samuel Johnson goes like this: “The use of travelling is to regulate imagination by reality, and instead of thinking how things may be, to see them as they are.” And so I hope to dig in dusty corners (of the internet mostly) and see more clearly the places and people that have been populating my imagination all these years. I’ve done similarly themed posts in the past, but I think it’s high time I call them what they are—time travel. 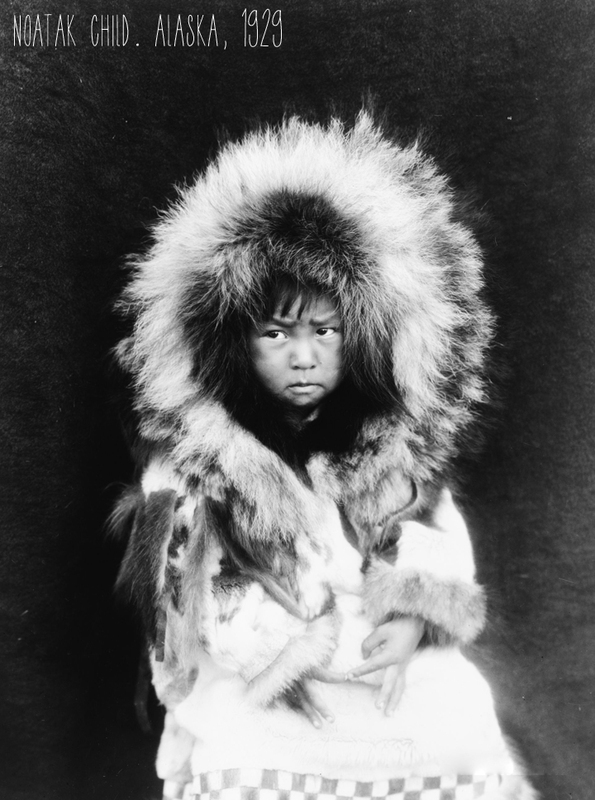 On this icy, Toronto evening I naturally drift through the archives stopping on stunning images from Alaska dated 1900 to 1930. 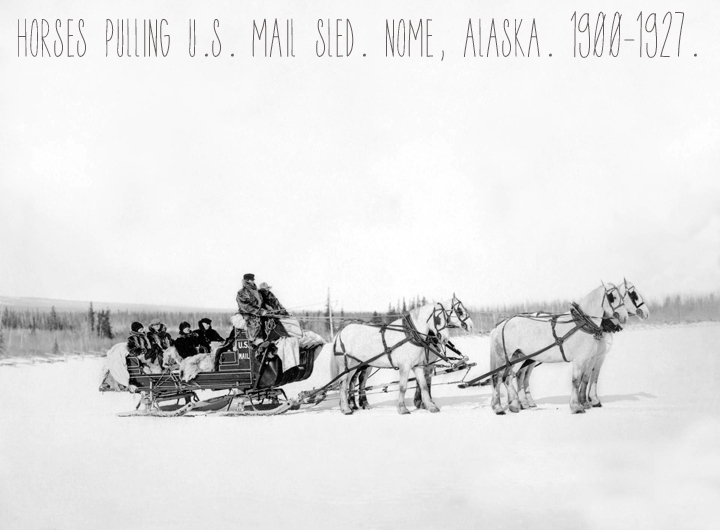 Alaska of the Inuit: as the gold rush hit fever pitch, the rail was built and the territory absorbed by the United States, a time of incredible change and upheaval for the people who called this place home. It is important to understand these images within the context of their time and ours; to consider that they were captured by outsiders who brought their own prejudices and perspectives to their subjects. 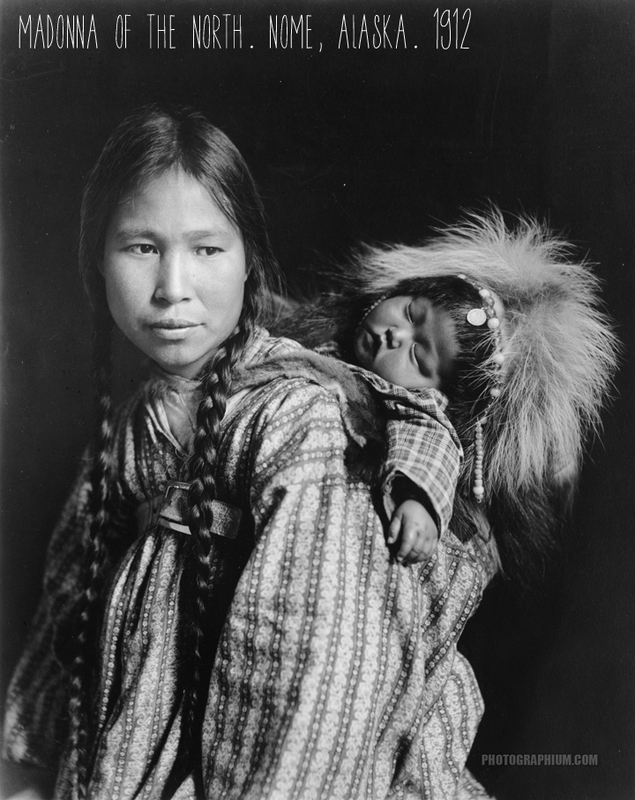 Credits: Glenbow Archive, photographs by the Lomen Brothers; Photorarium Archive, photographs by Edward S. Curtis; The Library of Congress Archive.